In most Indian homes, the preferred choice for a baby’s first food is some kind of cereal, usually white rice. 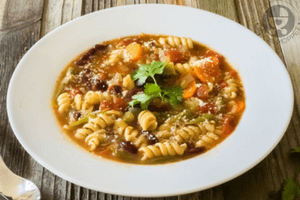 While grains are certainly a great first food, root vegetables come a close second. 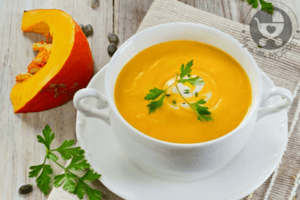 Root vegetables include potatoes, sweet potatoes, carrots, parsnips and beets. They’re naturally sweet, easy to cook and puree and rarely cause allergies. They also make baby’s food much more colorful! When choosing root vegetables, go for ones that are firm and with blemish-free bright skin. Be sure to wash them properly before preparing them for baby. 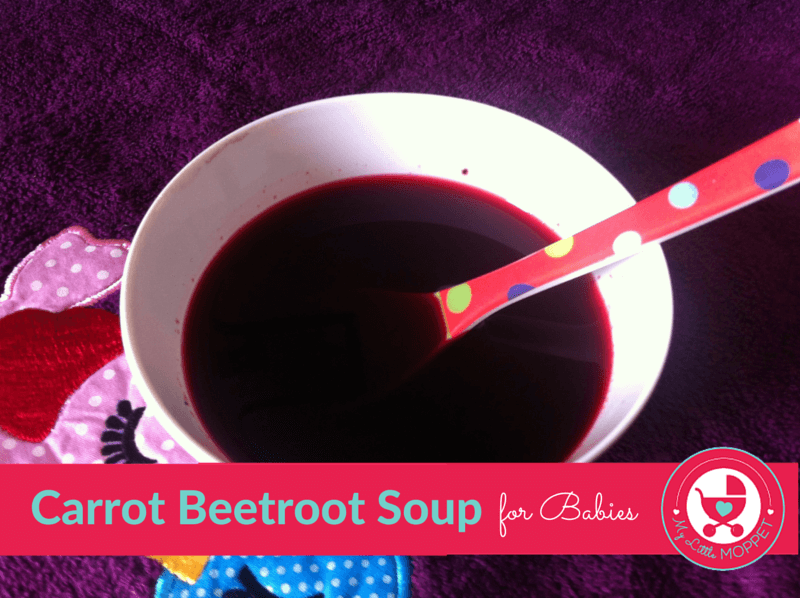 Today’s recipe is a combination of two brightly colored vegetables – Carrot Beetroot Soup for Babies. 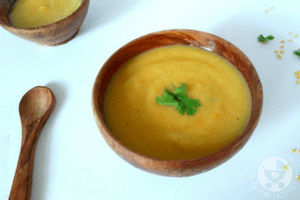 This is a really healthy soup with a number of health benefits for growing babies. Carrots are rich in beta carotene which turns into Vitamin A in the body, an essential nutrient for good eyesight. Carrots also help to strengthen the immune system, keeping babies safe from illnesses. 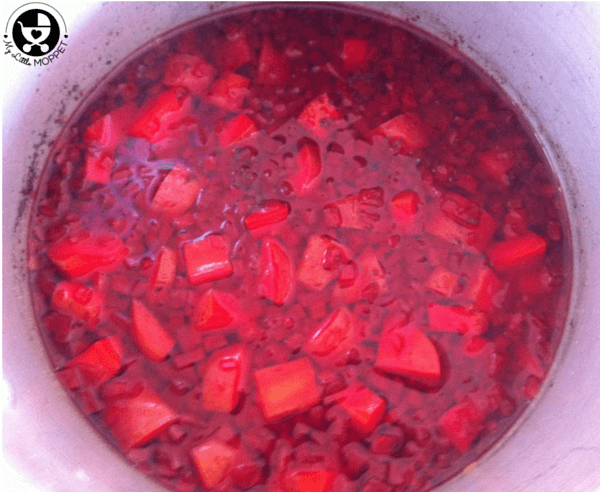 Carrots and beets are rich in fiber, making for normal and soft bowel movements. 1. 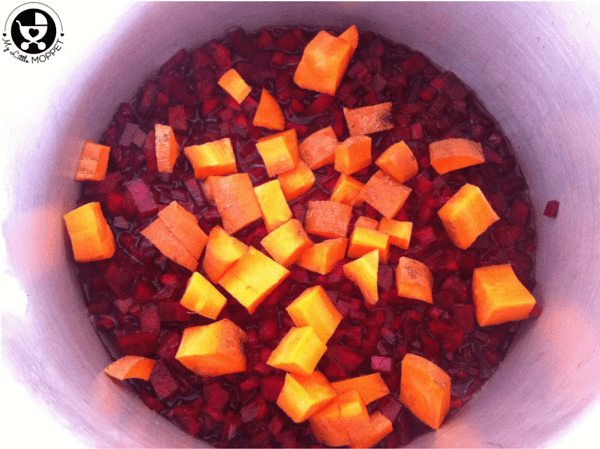 Clean and peel the carrot and beetroot and cut into small cubes. 2. Steam both together in a pressure cooker. Allow 4 to 5 whistles as beetroot may take time to cook. 3. Once the cooked vegetables cool, you can either blend and strain or mash it and use your hands to squeeze out the liquid. 4. You can also add a pinch of jeera/cumin powder for seasoning. The soup can be warmed a little and then served. 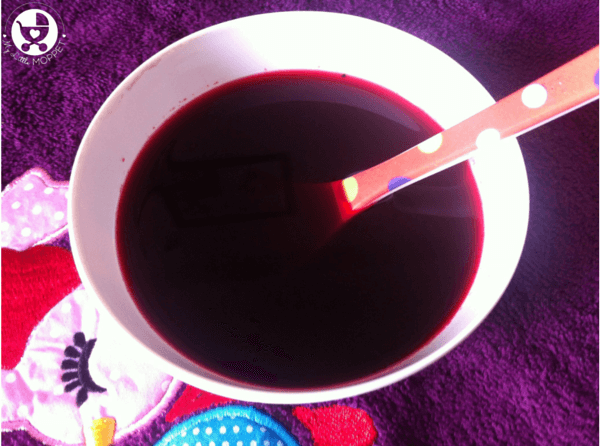 If your baby’s stool appears a little pink or reddish after eating this soup, don’t get scared; it’s just the beetroot!! 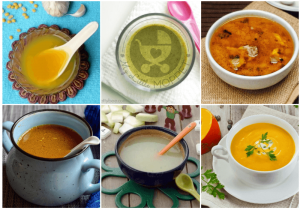 Once your baby gets used to the flavor of this soup, you can try serving carrot puree or beetroot puree, or even a root vegetable mixed puree – try everything and see what your little foodie prefers the most! 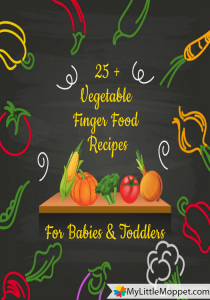 Root vegetables are ideal foods for babies due to their ease of digestion. 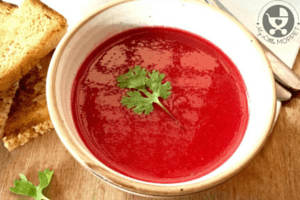 This recipe combines two root vegetables, carrots and beets in a nutritious soup. 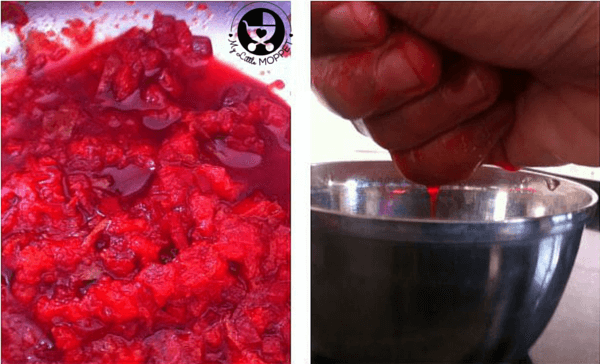 Clean and peel the carrot and beetroot and cut into small cubes. Steam both together in a pressure cooker. Allow 4 to 5 whistles as beetroot may take time to cook. Once the cooked vegetables cool, you can either blend and strain or mash it and use your hands to squeeze out the liquid. You can also add a pinch of jeera/cumin powder for seasoning. The soup can be warmed a little and then served. I have already tried carrots for my 6 month old. 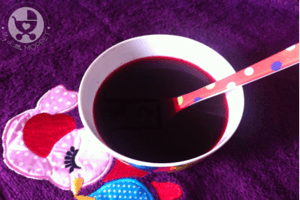 Should I first try beetroot separately with the 3 day rule before trying this recipe ? Thanks a lot for your feedback dear. Each and every ingredient has to be given separately to check for the bowel movements. If baby is comfortable, you can proceed further. From which month can we give beetroot for babies, mine is 7mo. You can try now. Give in small quantities to rule out any allergy. I want to start my 4 months old on solids. Can plz suggest me few recipes? Also when I start with soup recipes shared by you? Thanks Doctor for the reciepe! Can i give it to 9 mnths old baby ?